Maybe your water smells or tastes funny. Maybe it's cloudy. Or maybe it seems fine, but you just don't know for sure. Weather Master offers water testing to check for the presence of contaminants, like bacteria, nitrates, arsenic, and other potentially harmful elements. Water quality problems can not only affect the taste, color, and odor of the water, but they can also put you and your family at a serious health risk. 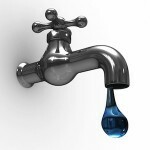 Many state and federal authorities recommend private wells be tested at least once a year to ensure that your water is safe for consumption, but even homes hooked up to the public water system can benefit from a routine test to confirm nothing has leaked into your water supply through your pipes. Contact us today to schedule your water testing and leave the worries behind!